Sebastian Vettel says Ferrari's failure to maximise its potential by finishing third and fourth in Sunday's Chinese Grand Prix was "upsetting" amid the post-race focus on team orders. 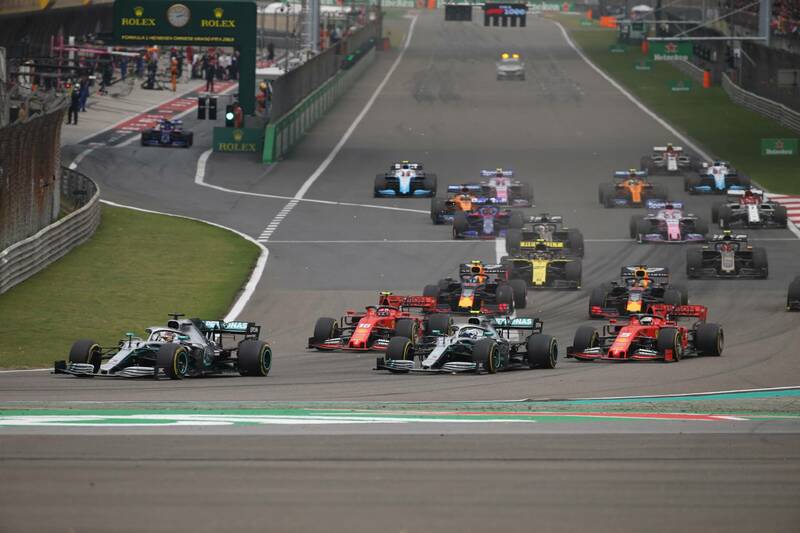 Despite being pre-race favourites in Shanghai, Ferrari struggled to match Mercedes for pace, leaving Vettel to settle for third place while teammate Charles Leclerc could only take fifth after being passed by Red Bull's Max Verstappen. Ferrari used team orders to swap Vettel and Leclerc on-track in the opening stint of the race in the hope of catching the Mercedes drivers ahead, but Vettel was not able to bridge the gap, initially leaving Leclerc frustrated. Speaking after the race, Vettel said that such a call was nothing new in F1, saying the hardest part of the race was the result itself and not the outcry over team orders. "I think it’s not the first time that we’ve seen something like that. We try to do everything as a team," Vettel said. "Two weeks ago, Charles was faster, and it was quite straightforward, maybe a bit easier to pass in Bahrain. "But I think the upsetting thing after the race is that we didn’t manage to finish third and fourth. Obviously I want to be ahead of Charles, he wants to be ahead of me, that’s the name of the game. "I’m not keen to expand much further, because it’s always a bit difficult - especially what you make out of the answer afterwards, so keep it there." Asked if there was a particular story Vettel had in mind with his final comment, the four-time world champion replied: "Not really, it’s just poor journalism in my point of view, but I’m not a journalist to judge, so you shouldn’t take my judgement personally." Team principal Mattia Binotto agreed with Vettel's feeling that Ferrari's lack of performance compared to Mercedes had to be the main point of focus in the aftermath of the race, instead of drawing up a plan to deal with future team order scenarios. "I think the first priority will be to focus on the performance of the car," Binotto said. "I’m pretty sure that if we got the performance which will keep us ahead of the others, this issue [team orders] will be sorted. "The performance of the car is our first priority. That’s what we will focus on." Vettel had outqualified Leclerc in China on Saturday, but lost a position to the Monegasque at the start despite getting a good getaway off the line. A poor start for pole-sitter Valtteri Bottas left Vettel looking for space, with his decision to take the outside line ultimately leaving the door open for Leclerc to move ahead into third. "It was Valtteri’s right to compromise my start, he was ahead of me, he qualified ahead of me. I thought I had a decent start, and then basically no place to go," Vettel said. "I then decided for the outside which I knew by the time I decided that it’s not going to take me anywhere, but I didn’t just want to lose my advantage because I knew that Charles would be somewhere on the inside. "I wasn’t quite sure where Max would be, so I thought I wanted to stick with that train as much as I could and probably give Charles the inside, and just make sure that I don’t lose an extra position. I just couldn’t go anywhere."